Here’s to all artists, whether their medium is music, film, theater, or other fine arts, having no fear. My original post is below. Reckless, blazing dignity: that description makes we wish I’d had the privilege of seeing her live. While many associate her above all with jazz, Simone crossed freely among genres–from R&B, funk, and blues, to folk, be-bop, and show tunes–and left her stamp on each one. And it’s a show tune I’ve chosen to post here. “Feeling Good” is from the 1964 musical, The Roar of the Greasepaint, The Smell of the Crowd (music and lyrics by Anthony Newley and Leslie Bricusse). There are plenty of other numbers that would qualify as her signatures–e.g., “Mississippi Goddam”, her own composition written in response to the murder of Medgar Evers in 1963; she was very active in the civil rights movement–but “Feeling Good” is close to the first thing I ever heard her sing. I hadn’t encountered Simone’s work at any point during high school, college or medical school. Then at some point right around Christmas in the late 80s/early 90s, I visited a friend and his parents at their home in Winchester, MA and Nina was on the stereo. The voice was, as noted earlier, immediately intriguing. I was hooked. I have no memory of what she was singing at that point, but I went out a couple of days later and bought a CD compilation of her stuff and “Feeling Good” was the second track. This recording is full of great moments: Simone’s a cappella opening, the brass and piano vamp that starts at 0:39 (Simone is at the piano), the string arrangement, her delivery of the lines “Freedom is mine, and I know how I feel” (especially in light of her civil rights activism), the 20 seconds of scatting (of which she was a true master) starting at 2:20, and the way she belts that last ‘good’. There’s a sultriness, a sexiness, to the performance that’s just fantastic. Butterflies all havin’ fun, you know what I mean. Trivia tidbit: Simone was an accomplished, classically trained pianist, and studied briefly at Juilliard in the early 1950s. Hired by an Atlantic City bar in 1954 to just play the piano–so she thought–she was told by management that she would have to sing as well. A fine suggestion, indeed. 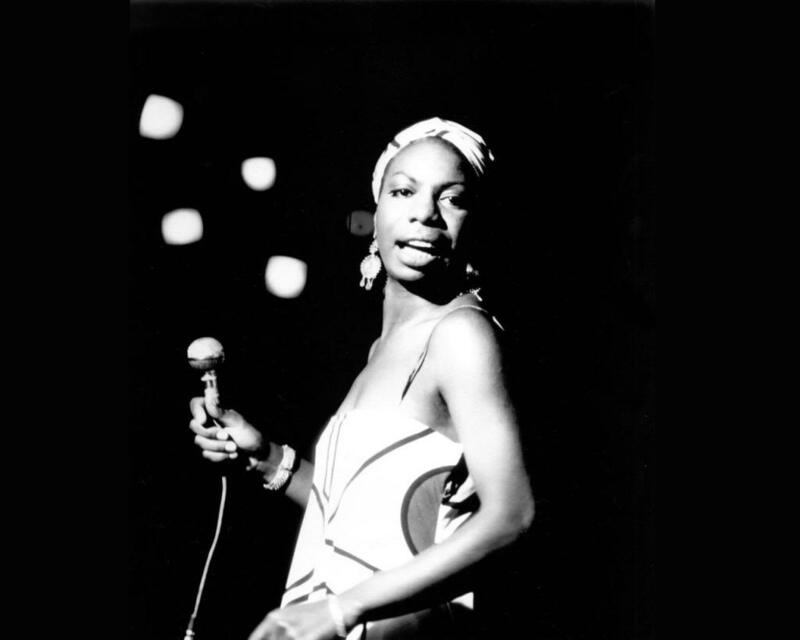 Tags: Anthony Newley, Civil Rights, Feeling Good, Leslie Bricusse, Medgar Evers, Mississippi Goddam, Nina Simone, The Juilliard School, The Roar of the Greasepaint – The Smell of the Crowd, What Happened Miss Simone? Will certainly watch out for the doco. Thanks for the reminder of this powerful talent, J.